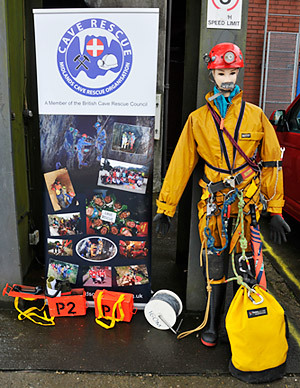 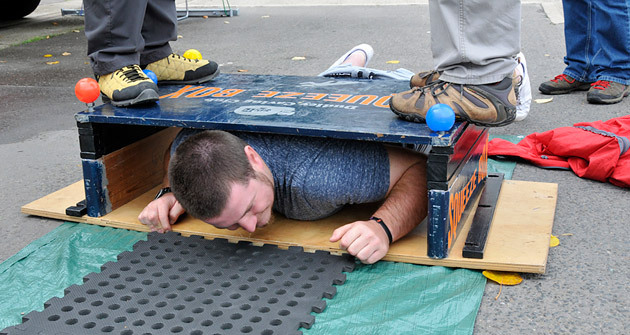 We had our display stand there along with the Dudley Caving Club 'Squeeze box' to give people a feel for squeezing through tight spaces. 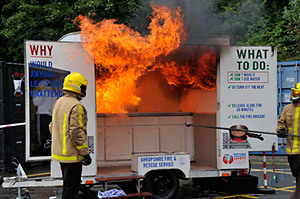 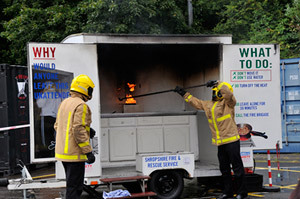 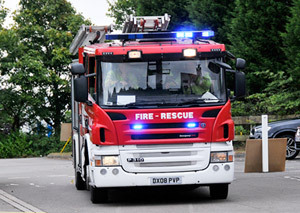 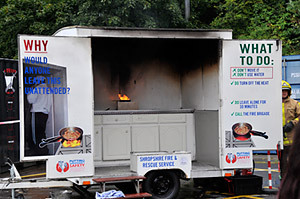 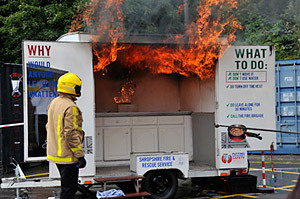 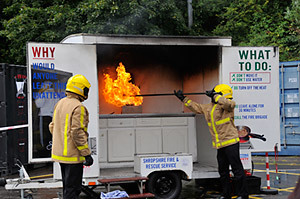 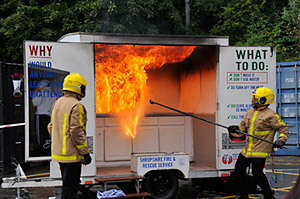 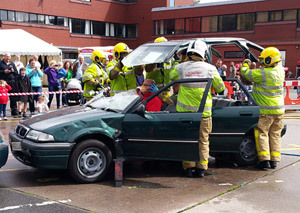 West Midlands SAR had their boats and 4x4 on display (along with their rope throwing activity) and children were also able to experience the Fire Service interactive smoke tent teaching them how to escape from a smoke filled house. 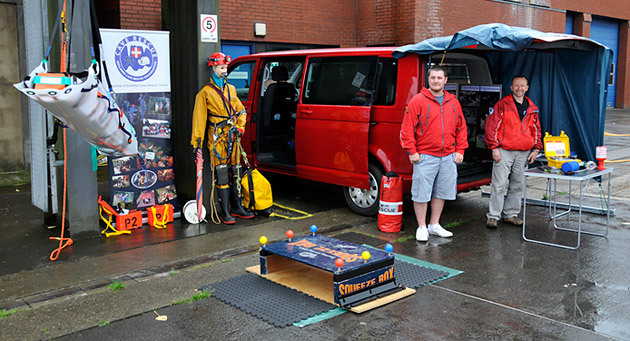 A fun day, everyone had a good time, and luckily at the end of the day we had all packed up just before the torrential rain came!